With Thanksgiving coming in just a few days, it is the time of the year to give thanks! 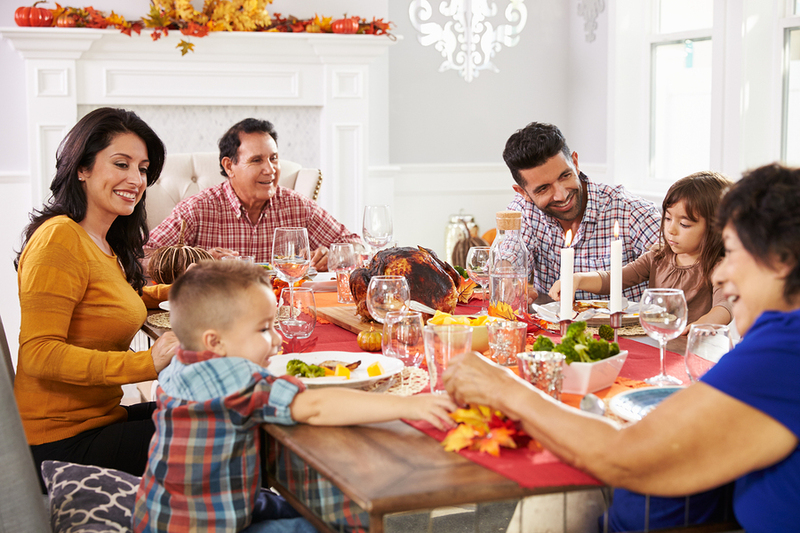 However, it is important to remember that giving thanks is not only reserved for this holiday – but rather, to be practiced daily. Daily gratitude practices are linked with better mood, less depression and even physical health benefits. It helps us to re-wire our brain pathways which determine our instinctual habits (like, reaching for junk food when we’re hungry, or zonking out behind the TV all night instead of hitting the gym). We all know the common practices of keeping a gratitude journal, going 21 days without complaining, gossiping, or criticizing, or writing a thank you letter. If you need refreshers for any of these, you can easily find descriptions by googling them. They really do help! That being said, at times, our gratitude practices can become boring or mundane. In these times, it will not help much to keep up the monotony and doing the same old thing. If we are so well-versed in writing thank you letters to our loved ones that we can write them in our sleep, it’s probably not doing us as much good as it was when we first started, because an essential element for a gratitude practice to be effective is for our minds to be actively engaged and hopeful in the process. It is our responsibility to find fresh, new practices which can help us revive the spirit of gratitude! Below I’ve listed my favorite new practice in gratitude. If this and the practices listed above are old news, then perhaps it is time for you to embark on a project to discover a brand new practice for you! At the beginning of each morning, write out a list of 5 things you appreciate about your OWN self! (If you are unable to write a list, simply think them in your head). Once you have these written, as you move through your morning routine, recite them out loud or in your head. Feel the appreciation and gratitude for each of these things about yourself as you say them to yourself. Repeat 3x before you leave the house for work (or perhaps, in your car on the way to work). Throughout the day: Each time we catch ourselves dwelling on a negative thing about us (i.e. our hair is too stringy, we’re too disorganized, we don’t have our life together yet, or we are just not good enough), we can choose one thing about ourselves to be grateful for and offer an alternative to that first thought. For example, “Even though I am far too disorganized to be planning anything right these days, I really appreciate that I have a creative mind and have all these great things bouncing around in my head that make it hard to focus. At least I am not bored with life!” In this way, you can spend a full moment as you recite the statement in total gratitude for yourself, even if the only thing you’re grateful for is just getting out of bed in the morning. Written by: Laili Boozary, Intern with Thrive. She is a Master’s candidate at the University of Oklahoma Health and Exercise Department for Health Promotion. She plans to graduate in May 2017. She got her 200-hour RYT (registered yoga teacher) certification from The Mindfulness Center.